These Musetti pads are all part of the ESE system (Easy Serving Espresso) and can only be used in pad machines intended for this purpose. 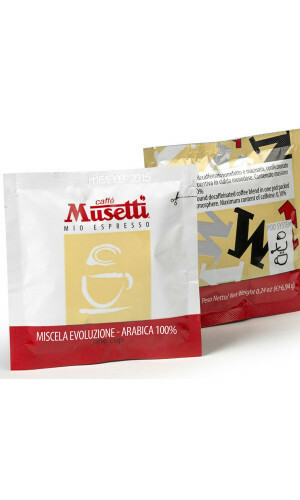 The 3 highest quality varieties of Musetti coffee can be ordered here as an ESE Pad online.Musetti has been operating for more than eighty years in the coffee world, in 60 countries on the five continents. 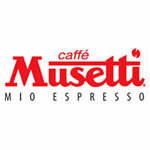 Musetti history is a fusion of passion, hard work and successes where people and coffee have always been the only undisputed protagonists. The company attention for the product and its care about consumers have remained unchanged over the years. Precisely for this reason unique blends have been created to satisfy the most different tastes and needs. Quality is however the foundation to produce new blends. Several and strict controls are carried out on the whole manufacturing process, from the selection of green coffee to packaging and distribution. 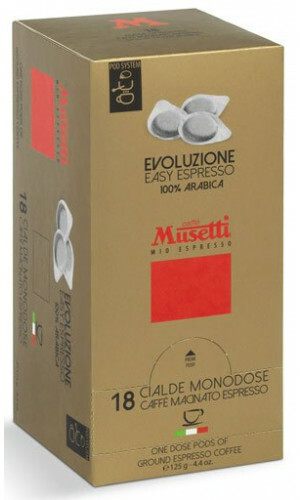 (Musetti Website) Musetti Coffee Pods are great to enjoy the same taste of your favorite espresso Coffee blends, which are meticulously weighed, ground, pre-dosed and pressed, are sealed using a special procedure in a protective atmosphere between two filtering paper layers. The pod is sealed in a single dose pouch ideal for a long preservation, ready to be used in the coffee machine. Therefore, cup after cup, using the pods you always find the full taste, as well as the intense aroma of your preferred espresso, in a simple, clean and quick way. 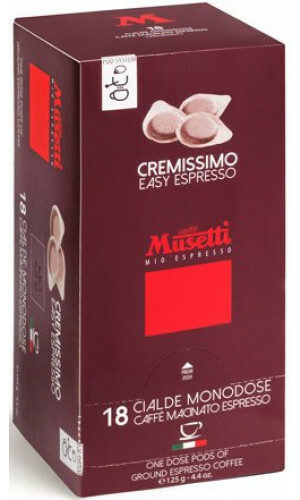 Rich body, great creaminess and good persistence on the palate is what is waiting in the Musetti ese pads.